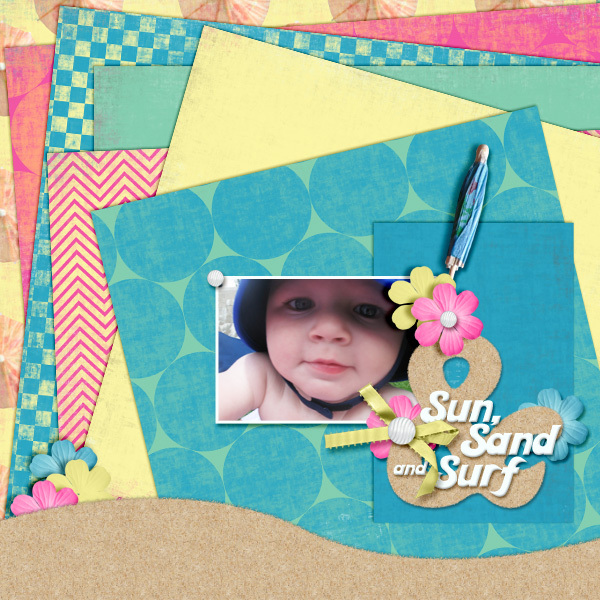 I'm back with yet another Blog Hop this weekend! All I can say is it's a good thing I had these blog hop pieces done a couple weeks ago. I am at the tail end of my first vacation of the summer, and I have not had much time to design while I've been away. As it is, I am later posting this tonight than I had intended (since my intentions included pre-loading this post, I'd say I'm a little off!). 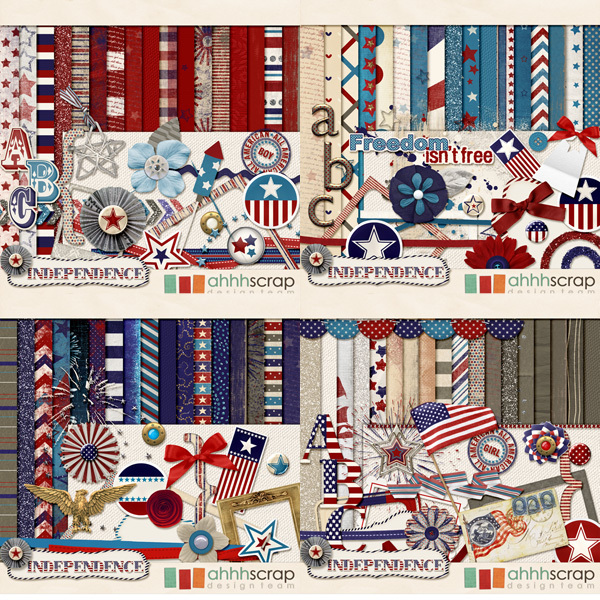 The Ahhh Scrap blog and Facebook hop will continue for a short time yet, before all the pieces will be bundled up and sold in the store. Until then, you can find the hop list in this post. Today's hop is full of fun summer sun! 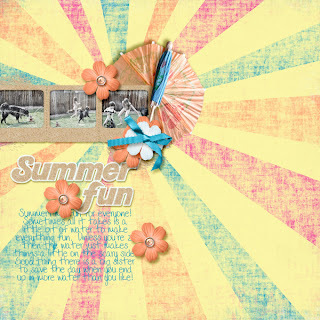 If you are traveling here via the sumer blog hop, you have arrived from http://moniquehelfrichdesign.blogspot.nl. Thank you for visiting. My shops can be found at Ahhh Scrap and Funky Playground Designs, and I am on Facebook also! The next stop on the blog hop is Pamla Klenczar. If you get lost along the way, a complete list of blogs can be found at the first stop: Three Owls in a Nest. Welcome to the Ahhh Scrap Design team blog hop for July! This month we decided to offer our store collab as a blog and Facebook hop before putting it for sale in the store. All portions of the blog hop will be available for 2 weeks before the whole thing is bundled up and put up for sale in the store. I have 2 minis available in the hop, one here on my blog and one on my Facebook page. To download the portion from my blog, please click the link below the photo. The next stop on the train is my Facebook page. 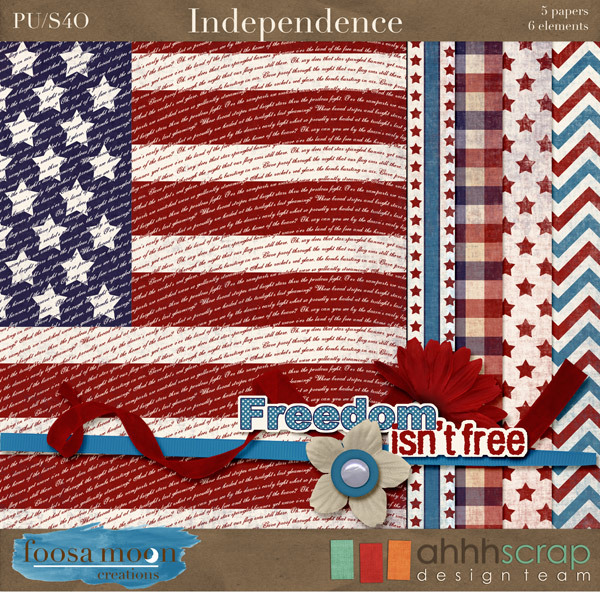 Simply "Like" Foosa Moon Creations if you haven't already, click the Freebies from FMC link below the cover photo, and the download link will be available there. If you don't like Foosa Moon on Facebook yet, you will be prompted to do so before downloading the Facebook portion of the hop. Thank you so much for stopping by! I will be back next weekend with ANOTHER blog hop just in time for summer! Here are all the stops on this blog train, in case you get lost somewhere along the way. Please remember that not all stops may be posted at exactly the same time this morning, but they should all be up today! Gosh it's been a quiet spell. 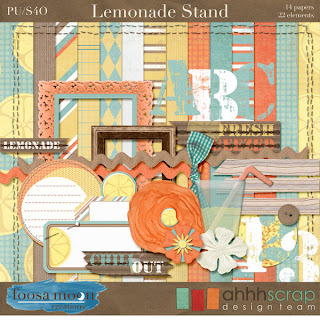 The second half of May was a busy one at home, but I was able to sneak time out to expand my Lemonade Stand mini from The Design Factor Last summer, and today it is new in my store. Some new patterned papers and extra elements, and I am in love with this kit all over again. I had finished it up just before heading out on a camping trip last week, and couldn't wait to share it once it was finished. Come by my Facebook page for an extra coordinating alpha! I have a new release today (and my store is still on sale)! I have to say, even though I have been stewing on this idea for a couple weeks, it took me longer than I thought to put this kit together. Something about being in a summer mood and having snow fall made it difficult to focus on this project for longer than a day or two at a time (and when I can only work for a couple hours a day, that means a long time in process!). Now that it's finished, I love it. 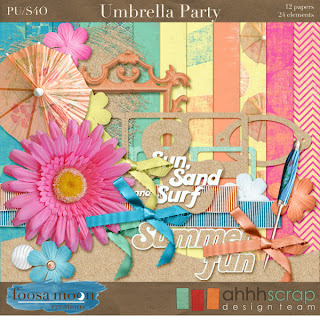 The bright colors, the umbrellas, all the sand, makes me wish summer really was here. Our Mother's Day here in CO was cloudy and rather gloomy looking outside. But when I talked to my mom in Washington, she said it was supposed to be sunny and upwards of 80 degrees! Wow! I also took some time to scrap with this kit while I was trying to decide if the kit was finished. 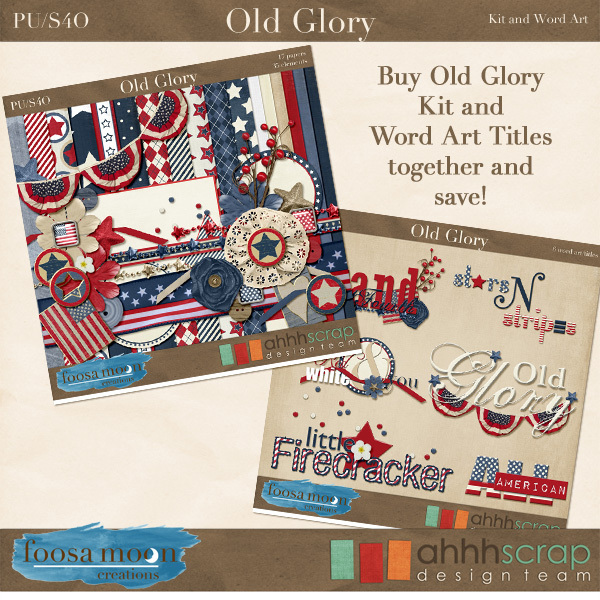 Both pieces of word art in the kit actually came out of the sample pages that I made. Ok, so that second picture isn't really taken anywhere near surf or sand, but I figured if I cropped the photo close, no one would know unless I spilled the beans! And now (while my son is busy making a mess in the kitchen) I'm heading to order new coffee...I used the last of my favorite flavor today! After a week of most of my family being sick, having 2 mortgage signings (finally re-fi'd!! Yay!!! ), and my husband working the night shift (and so sleeping all day), I am finally seeing the light at the end of the tunnel and feeling a little better. 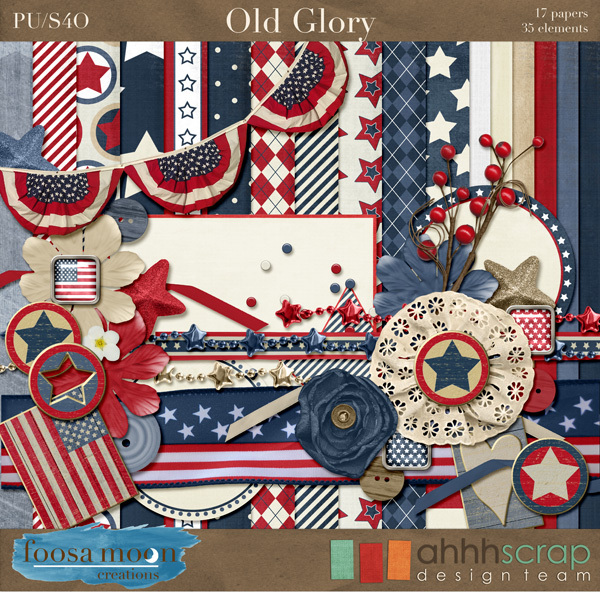 I wanted to pop in here on this, my neglected blog, to let you know about some of the things coming on for Foosa Moon during the next week. 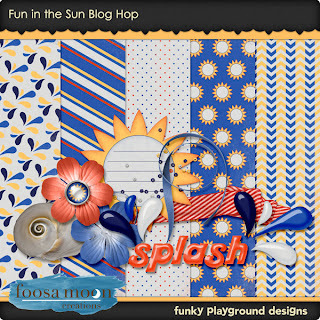 I will have a post on Tuesday with a new blog freebie, as part of the Blog Train Blog. 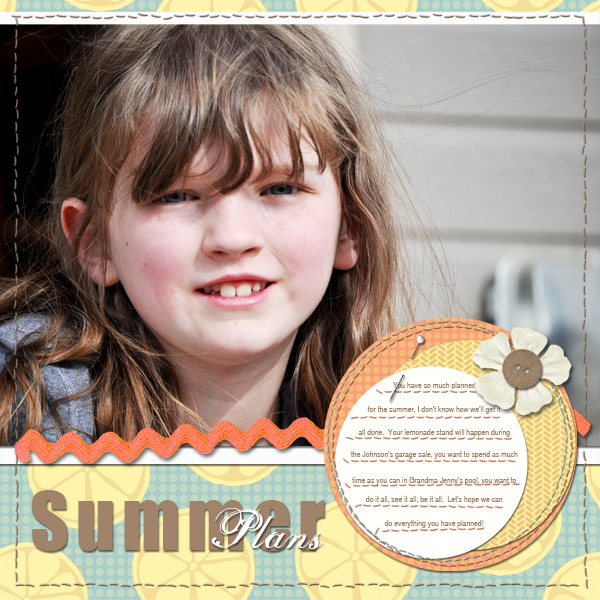 This freebie will be available for free on the blog for the month of May. 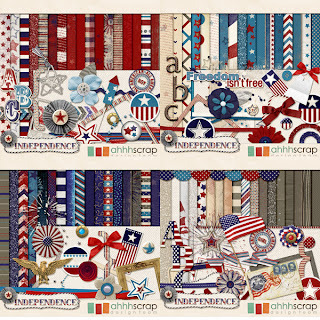 There is also a new collection hitting my AhhhScrap store on Tuesday that coordinates with the blog freebie. 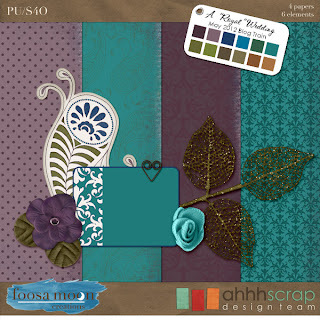 I loved the color palette so much that I had to keep working with it once I was done with my blog train contribution. I am also going to be keeping my store on sale for the entire month of May...not just the one weekend of NSD. (Though watch for specials on NSD weekend!) Sale starts Tuesday, May 1 and runs until Thursday, May 31.